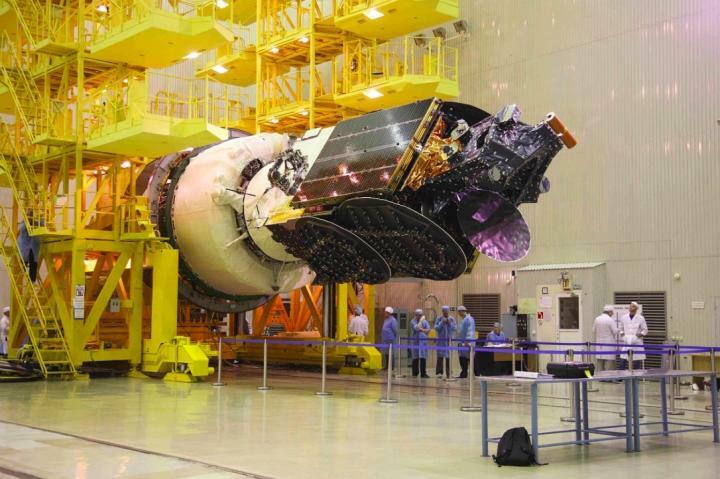 WASHINGTON — Hong Kong-based satellite fleet operator AsiaSat said July 31 that its next satellite will launch Sept. 28 on a Proton rocket from the Baikonur Cosmodrome in Kazakhstan. AsiaSat-9 is a replacement satellite for AsiaSat-4, a C- and Ku-band telecommunications satellite from Boeing that launched in 2003. 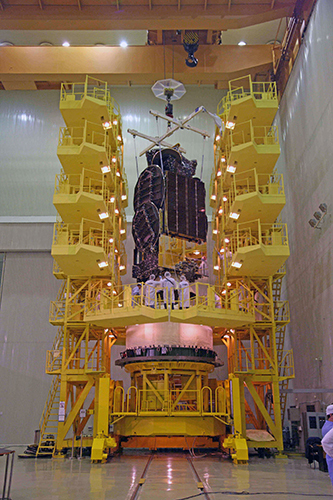 Compared to its predecessor, AsiaSat-9 carries a high-throughput Ka-band payload, a higher power C-band payload, and Ku-band beams that are “cross-strapped” to allow uplinks and downlinks between themselves. 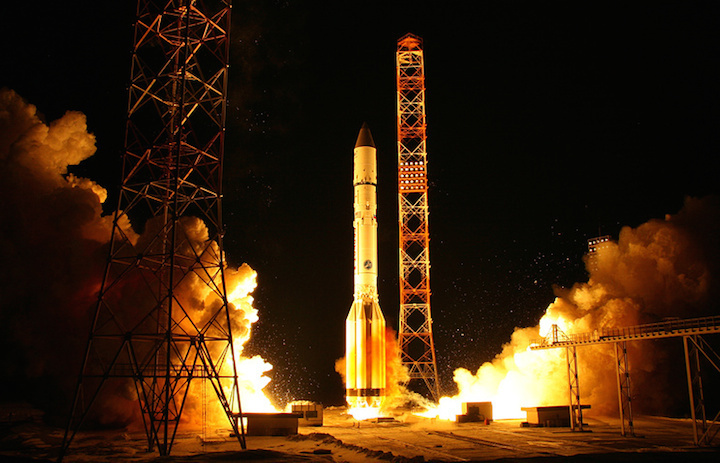 Proton conducted its first launch in nearly a year on June 7, orbiting the EchoStar-21 satellite for Englewood, Colorado-based fleet operator EchoStar. 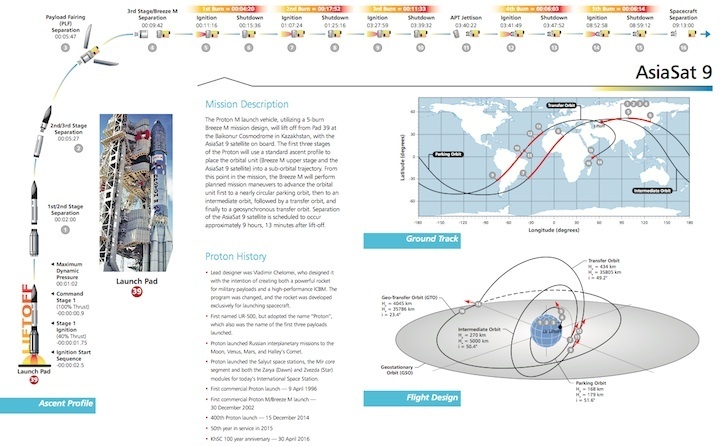 An upper stage anomaly in 2016 that didn’t cause a failure but did spark an intense mission review, and the later discovery of an unusual solder in several upper stage engines, sidelined the rocket for about 12 months. 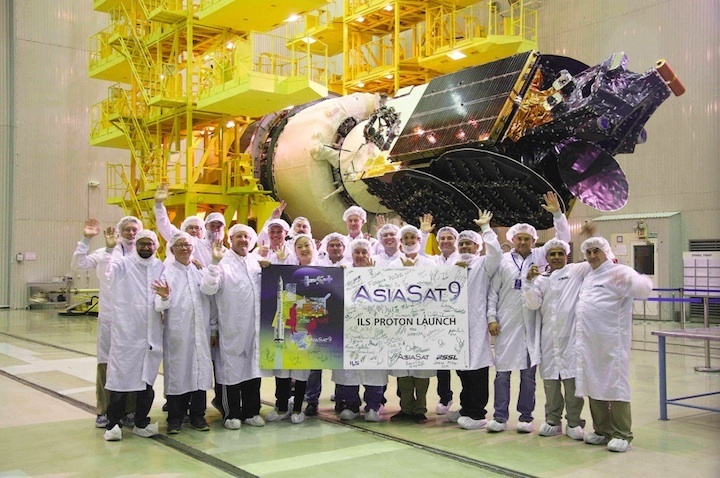 AsiaSat-9 includes new coverage for Myanmar, where AsiaSat-customer KBZ recently expanded capacity on AsiaSat-4 and -7 for broadband connectivity, as well as new coverage for Indonesia and Mongolia. The satellite’s footprint will cover the Asia-Pacific region from 122 degrees east. AsiaSat 9 communications satellite parted with Breeze-M upper stage and entered a geo-transfer orbit, a representative of Khrunichev State Research and Production Space Center, the rocket producer, told TASS on Friday. "The spacecraft separated from the upper stage and entered the geo-transfer orbit at 07.05 am Moscow Time. It will be turned to over to the customer for control shortly," the representative said. 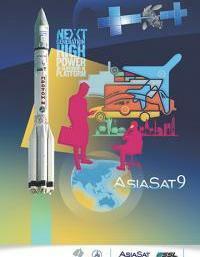 AsiaSat 9 satellite was launched on Thursday evening. It's mission is to provide TV and telecom services in the Asia-Pacific Region. 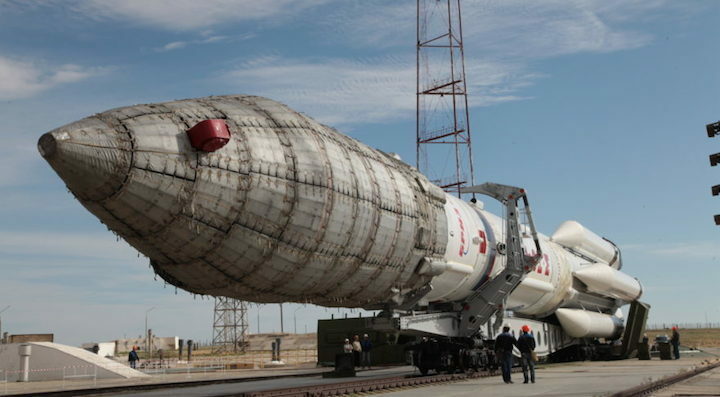 A Russian Proton-M booster rocket carrying a U.S.-built commercial satellite has had a successful liftoff from Kazakhstan.